After work on Friday evening, we headed out for a date night at the Mall of America. I was so bummed to find out that J.Crew had closed -- my friend Mandy had told me that it was closing soon, but I didn't know that it would be this quickly! While we were browsing around, we came across the cutest little candy shop and I just had to take a picture of the adorable Easter illustrations that were in the window! Seriously, how cute are these?! We also saw this mug at Caribou Coffee that I designed -- it was loosely based off of an existing design (by my friend, Melodie! ), so I can't take full credit, but it was fun to see something that I had worked on out in the world. 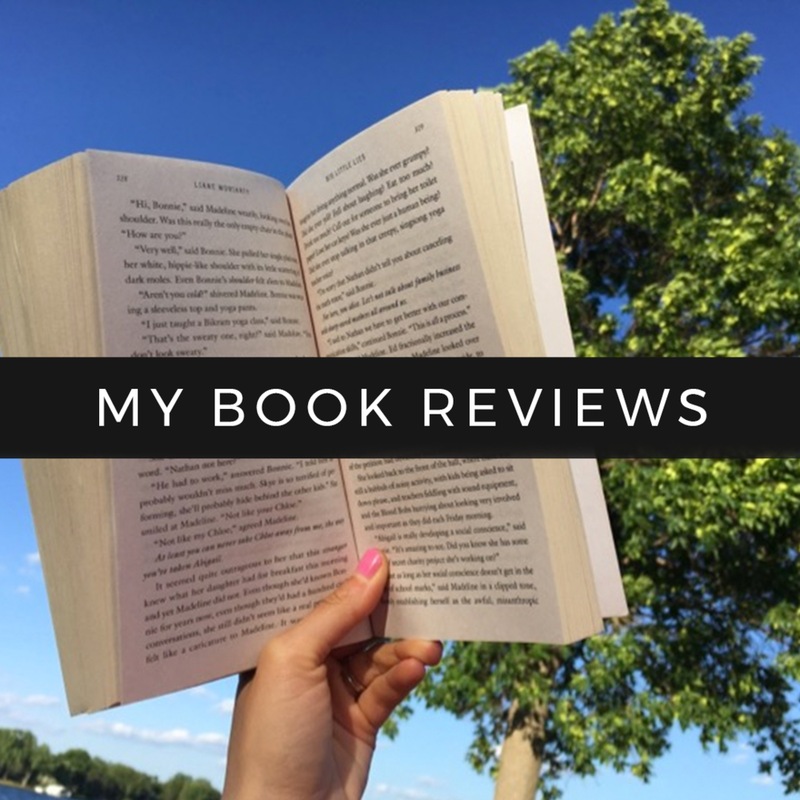 Saturday was pretty low key -- I caught up on some shows, finished a library book, and then walked down to the library to return it and grab a new book that was on hold. I also started the show called The Resident on Fox -- I'm only an episode and a half in, but so far, so good! On Sunday, I headed out to do a little shopping -- I tried on a bunch of things, but wasn't super pumped about anything. I found a few things like some basic tees at J.Crew (at another mall) and Madewell, but that's about it. Oh well! Also, since it's been a little warmer out, I'm back to my ripped jeans, which has me SO excited for spring weather! These boyfriend fit ones are one of my fave pairs for spring / summer! Afterwards, I headed over to The Galleria and found the cutest outfit -- I'm so excited to wear this this popover and this pair of white denim! Also, I was obsessed with the wallpaper in the dressing rooms -- I love a good pattern! My next stop was Target -- my niece and I had an auntie date planned and I was so excited for it! Andrea dropped her off with me and we hit the art supply and toy aisles of Target for some browsing! It was so fun to see Becca enjoying her special date -- she had a blast checking out all of the toys. After looking around for awhile, we headed over to Starbucks for a cake pop before swinging by Barnes & Noble to read a few Easter books. 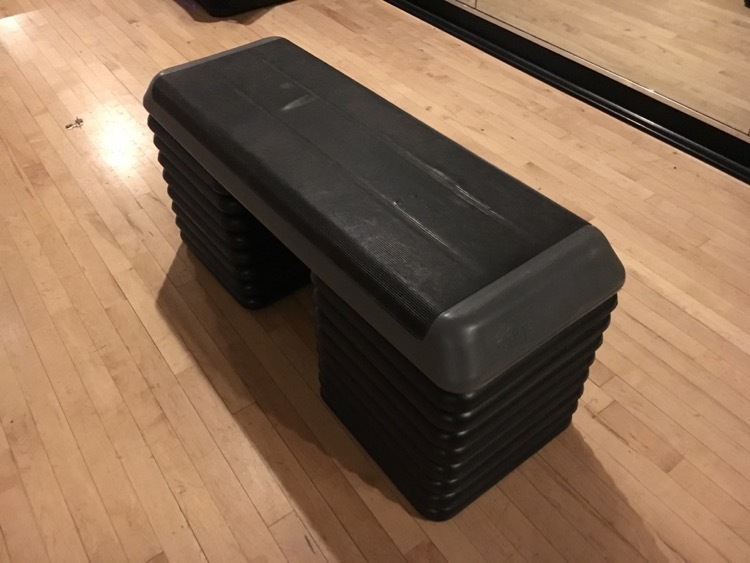 After dropping Becca off with my sister and the rest of the family, I headed over to the gym for a quick leg workout -- I've really been enjoying my new workouts! After wrapping up my strength training session, I hopped on the elliptical for a bit so that I could submit our grocery order for the week. We just started using Shipt and it is THE BEST. They shop and deliver all of your groceries and any other items you may need and they text you if the store is out of anything or if there are questions. It's so slick and such a time saver! Ever used a grocery delivery service? What are some things you'd like to add to your wardrobe for spring? My personal style is definitely one that has evolved over the years and it wasn't until a year or two ago that I feel like I've defined my personal style. I remember as a kid, I went through a phase where I refused to wear jeans and only wore stirrup leggings. Remember those?! I feel like my style is classic with a hint of preppy thrown in there. I tend to stick to this and really don't purchase anything that is considered a "trend." For example, the ever-popular cold shoulder sweaters are just really not my thing! I view my wardrobe as an investment, and would rather spend $200 on a perfect-fitting pair of jeans than to purchase 10 shirts for that same price that will only last a season or two. A year ago, I started dressing intentionally each day and it changed my life for the better; if you're interested in reading more about that, start with this post. If I wear a pattern, it's almost always gingham or stripes. I tend to stick to neutrals with a "pop" of color somewhere in my outfit -- where it be a pair of earrings, a bright vest, etc. Most of my wardrobe is gray, white, pink, and mint. I never feel comfortable in super feminine details (lace, too many ruffles, etc.) so I tend to avoid those types of items. I love layers -- especially when it involves a gingham button down under a classic crew-neck sweater. 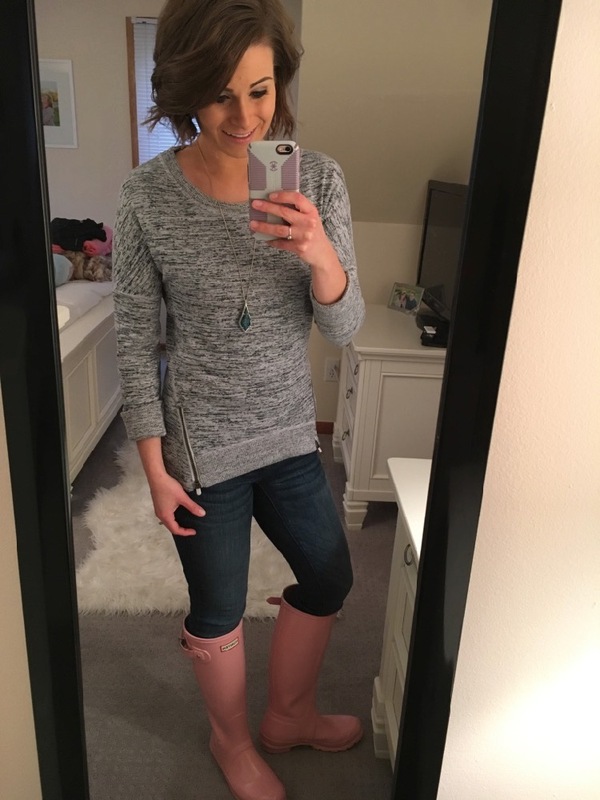 Fall / winter are my favorite seasons not only for the changing leaves and multiple feet of snow, but also for the clothing options that the cooler weather brings. Some girls are obsessed with shoes and handbags -- for me, it's jackets. Denim, leather, military, and the most perfect J.Crew Field Jacket -- I love them all. Like jackets, sweaters are another closet staple of mine. I own way too many of these ones, also love this one, and just ordered this one and this one last week. I prefer crew-neck sweaters to v-neck and will wear a cardigan on a rare occasion; I tend to stick to pullover sweaters most days. 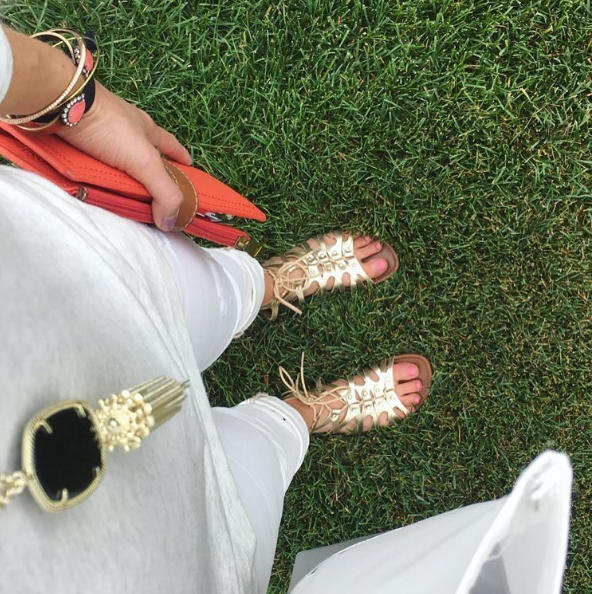 In the summer, I love wearing a basic tee, statement necklace, and skinny jeans. This outfit is so easy to dress up with wedges and earrings for work, or dress down with casual sneakers or slip ons for running errands. These are my favorite tees ever. Elliot / The Current in "Stagecoach" -- the perfect skinny jeans to be worn with tall boots! I wear jeans probably 6 out of the 7 days of the week -- I'm just a jeans girl! I always view my denim (and other investment clothing items) through a "cost per wear" lens. Rather than seeing how I'm dropping $150 on a pair of jeans, I estimate how often I'll wear them -- if I wear them 2-3 times per week for a few years, the cost per wear is actually cheaper than than a trendy top that I bought for $45 and only wore once before donating it. I love J.Crew's black toothpick jeans, and their Minnie pant which is sadly no longer available. I believe the Martie pant is its replacement; however, I have yet to give those ones a whirl. On the Minnie / Martie pant, I really love the side zipper since it keeps a very smooth look from the front. Other favorites are distressed white jeans, and colored skinnies (sage green -- shown below -- is one of my favorite neutral pairs). These puffer vests are a must for cold Minnesota winters! I have them in gray, black, navy, and bright pink. I'll wear these to work, as another layer instead of a jacket during in-between seasons, and with athletic wear as I'm running to and from the gym. I rarely ever wear leggings other than to the gym, and when I do, they are almost always Lululemon, Athleta, or Nike. 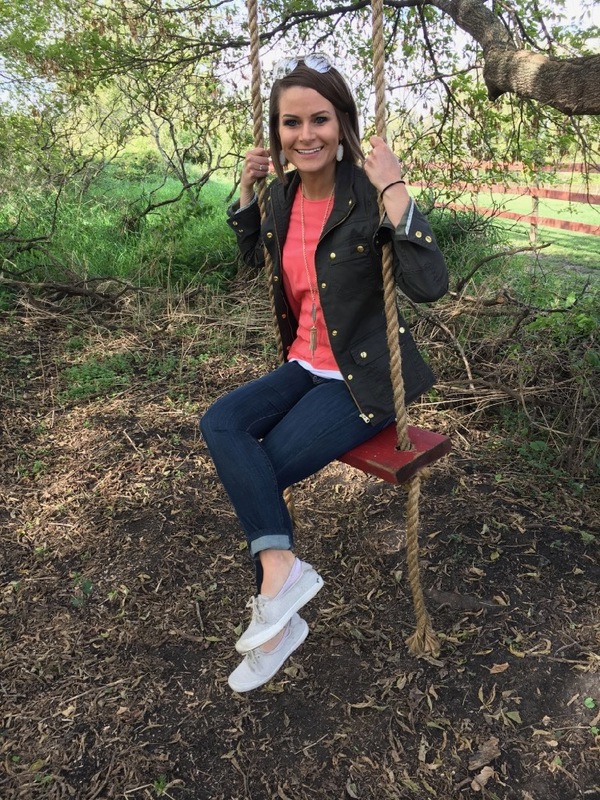 These are my favorite athletic crops -- they're so lightweight and comfortable! I own them in a few colors, but the pelt color (formally called "black cherry") is probably my favorite! I'm not a huge scarf person -- I always feel so claustrophobic in them for some reason. I also prefer my clothes to be fitted because I always feel frumpy or like I'm drowning in my shirts if I wear them slightly oversized. I gravitate towards items that can easily be mixed and matched -- tops, jackets, vests, etc. make it easy to make new outfit combinations without needing to purchase anything new. 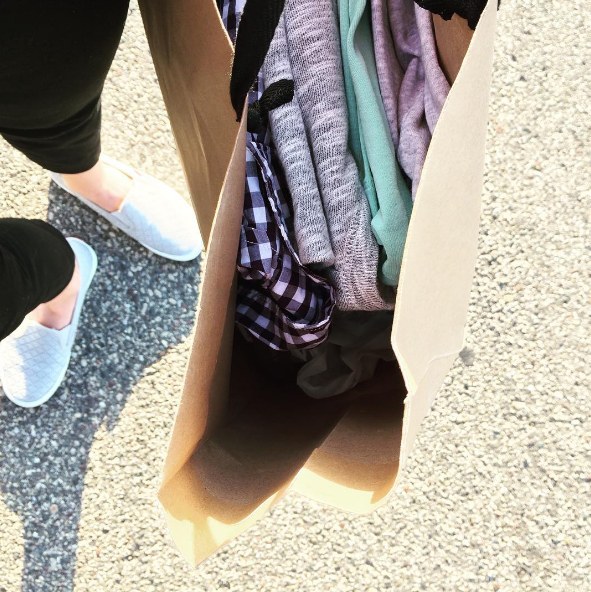 These days, I lean more towards a capsule wardrobe approach to my clothing -- I take inventory of my closet every 4 months or so -- selling / donating anything that I don't find myself wearing regularly. 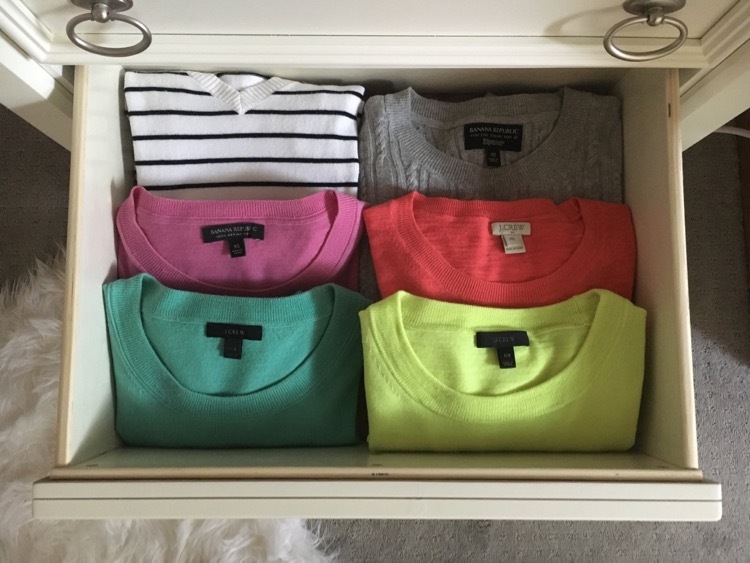 I prefer to keep my closet and dresser drawers neat / tidy -- making it easy to see all of my options each day. This past Friday, I woke up and did some work on the computer before heading off to the gym for a quick workout -- after working out outside for the majority of the summer, I'm trying to transition back to indoor workouts. Afterwards, I showered at the gym and then headed home to make a shake, style my hair, and apply makeup before heading out again. I needed to run a couple of errands, and wanted to pop into J.Crew Mercantile since I saw this cute shirt online earlier that morning. They didn't have my size, so I tried on an XS and am grabbing the extra fabric in the back. I think it'd be cute layered under a sweater, jacket, or vest, but I wasn't sure if I loved the material (it was really thin), so back on the shelf it went. While I was there, I browsed around for a bit; they had the cutest items in their fall collection -- so many cozy sweaters, cute jackets, and tops! Normally, I'm not a ruffles kind of girl, but I thought this sweater would be so perfect with a pretty statement necklace and flats. I also loved the striped version of this shirt! This sweater was super cozy and I love the slits on the sides! I loved the bell sleeves on this striped top -- this would be so fun to wear to a HH with girlfriends or on a date night out. Lastly, I came across my favorite field jacket (I own the military green version) in this pretty wine color! This will definitely be going on my wishlist once they add it online! This would be so cute with a navy striped tee underneath! In the photos above, I'm wearing these jeans, this basic tee, and these earrings (that match EVERYTHING). What's one thing that's on your wishlist for fall? What are your cold weather staples? Jackets and vests are mine! Word on the street is that capsule wardrobes are still going strong. What is a capsule wardrobe exactly? It is a collection of carefully curated items in one's closet that fit your body perfectly, are of high-quality, and can easily be mixed and matched with one another to create the maximum amount of outfits possible. Over the past couple of years, I've invested time into really dialing in my personal style. I'll chat more about my signature style in an upcoming post, but today, let's talk about capsule wardrobe staples. Just a heads up, this is what works for me personally -- your style, career, and daily activities may require a collection that looks quite different than mine and that's totally okay. I don't really classify my clothing into "work clothes" and "play clothes" since working in a design / advertising agency setting generally welcomes a casual yet stylish dress code. I also generally wear the same types of outfits on the weekends that I wear to work during the week. I love clothes, but I don't love sifting through lots of clothes when I'm trying to get ready in the morning. Whenever I noticed an article of clothing isn't worn on a regular basis, it either gets handed off to my cousins or dropped off Plato's Closet or Goodwill. I don't own an excessive amount of clothes, but every single article of clothing in my closet + drawers is one that I truly love. Also, all of the clothes in my closet are of complimentary color palettes and patterns -- making almost everything mix and matchable. I included links to items I own (or similar) under the checklist areas to help you stock up on staples to complete your capsule wardrobe. Button-down shirts -- I love these because you can wear them alone, wear them unbuttoned with a tee underneath, underneath a sweater, etc. Personally, I love a good gingham print because it's a fun and easy way to add a little pizazz to an ordinary sweater. Checklist: J.Crew has the best button-down gingham! I love J.Crew's Tippi sweaters because they're fitted and so easy to layer since they aren't bulky. They're also nice and warm since they're made of merino wool. I also love Banana Republic's collection of sweaters. I like having sweaters in all different materials and lengths: cashmere, wool, cotton, 3/4 sleeve, and long-sleeved, etc. I typically only purchase sweaters that are made of quality materials (aka no polyester in my sweaters) so that they last longer and wash and (hang) dry better. Checklist: Say hello to Tippi. Don't forget about her long-sleeved friends and cousins. Basic tees (v-necks) in neutral colors: white, gray, black, navy. I also love long-sleeved tee's for layering under vests, jackets, and cardigans. Adding in a few striped tees is an easy way to mix things up a bit, as well! Checklist: These are my favorite tees in the world. These are great for a season if you go through white tees faster than colored ones. In the summer months, I love pairing a basic solid or striped tank with jeans, shorts, or a cute skirt. Throughout the rest of the year, these tanks serve as great base layers for your favorite sweaters and tunic tops. Checklist: I go through these quickly, so I typically purchase these inexpensive ones. I'm very particular when it comes to denim mainly because I typically wear it at least four days out of the week. I personally prefer the boyfriend fit and skinny jeans, so I have a few pairs of those in different washes: light, medium, and dark. I love distressing on my jeans, but also have a couple pairs without any in case I need to dress up a pair of skinny jeans for an event. Checklist: My favorite jeans ever. My go-to summer jeans. The perfect pair to wear with tall boots. I love having skinnies in a few neutral colors: black, olive green, gray, and navy. These mix and match with all of my sweaters, tees, and tanks -- which results in more outfit combinations. Checklist: Best cropped pant that literally goes with everything. These moto jeggings. I love J.Crew's high-waisted sidewalk skirts for all seasons. I have them in a variety of fabrics -- from cotton to linen to wool, making them appropriate for any time of year. In cooler temps, I'll pair them with sweater tights, but they're also long enough to be worn with bare legs in the spring / summer. I love pairing them with a basic v-neck tee, long-sleeved tee, tank, or sweater. Checklist: Meet your new favorite skirt. Jackets are my love language. Okay, maybe not really but I love jackets like some girls love shoes. I love pairing jackets with any of my shirts to change up an outfit and be prepared for our crazy Minnesota seasons. I'm almost always freezing in the winter months, so a lot of times I'll plan my outfit with a jacket that's appropriate to wear all day (such as a soft leather jacket). Checklist: This cute leather jacket. This is the denim jacket for all seasons. This classy little army jacket. Note: A lot of "capsule wardrobes" include items that are recommended to the general public, but I find myself not needing a lot of the items that they recommend. For example, blazers -- I have a few of them but I don't love the blazer look, so I rarely wear them unless it's for a formal meeting with a new client or a work event. Use your best judgement and do what is best for you -- you know yourself and your style best! What's one item you need to add to your closet this next season? Here in Minnesota, our winters are super long, and after the holidays, there isn't much to look forward to for awhile. Last winter, when I found myself feeling frumpy and just "blah" in January, I started brainstorming ideas to remedy this. I eventually decided to make a commitment to get dressed everyday. Now, I'm not talking about taking a shower on Saturday morning only to slip back into pajamas afterwards. Repeat after me, pajamas are not an outfit. Neither are sweatpants. 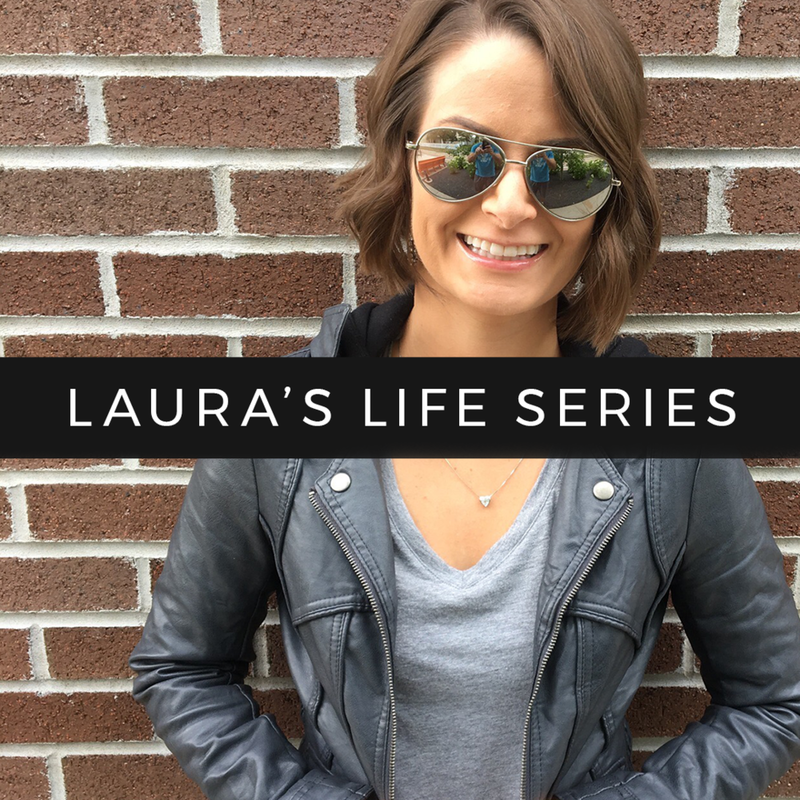 I also used to live in my gym clothes on the weekends -- I'd meet a friend for coffee while wearing a Nike track jacket, hit the grocery store in my Lululemon crops, and lounge around at home in my favorite gym shorts. Was I comfortable? Most definitely (helloooo, elastic waistbands). Did I feel confident in my appearance? Not exactly. Work was a different story; I got up each morning and threw on some leggings and a tunic top or whatever was clean, piled my hair into a messy bun, applied foundation + mascara and called it a day. Then I'd arrive at work and just felt frumpy all day because I didn't put any thought into my appearance. Also, any day that I'd decide to forego a shower (and basically try to mask my greasy hair with a pound of dry shampoo) in attempt to get 15 more minutes of sleep would inevitably be the day that I'd be invited to a design consult with the VP. Yikes. I decided that I wanted to stop feeling less than fabulous, so I made a change. I started waking up just a little earlier for work so that I wouldn't feel so rushed (aka frazzled running out the door while trying to juggle a purse, laptop bag, gym bag, and protein shake). I added a few new staples to my closet, and I started putting my best self out there. Taking the time to wash / dry / style my hair, apply makeup, and wear an outfit I felt good in made such a different in my mindset. I started adding in fun accessories and shoes, which made getting dressed in the morning that much more enjoyable. Because let's face it, not many things are enjoyable at 5:37am on a bitterly cold and dark January morning besides sleeping. I no longer had feelings of dread when I was invited to a last-minute meeting, and felt excited when a friend invited me to a spontaneous happy hour after work because I felt dressed and ready to go! On the weekends, I started wearing similar outfits, just a bit more casual. For example, instead of skinny jeans and my favorite Tippi sweater, I'd pull on a comfy pair of boyfriend jeans and a long sleeved top paired with a puffer vest. When I hit the gym, I put athletic clothes on for my workout and then shower / change before leaving the gym. No more running errands in sweat-soaked socks! I'm always ready to go -- whether it be to run out to our neighborhood market to grab a few tomatoes to go with our dinner, or to meet up with a friend that needs to chat. I take better care of myself -- I tend to stick to my workouts more regularly and eat healthier. Let's face it, you're less tempted to eat ice cream straight out of the container when you're wearing your skinny jeans that fit like a glove. I'm more productive -- when I'm dressed and ready to go, I'm more focused. Wearing pajamas just makes me want to lounge around on the couch and binge watch episodes of my latest drama show on Netflix. I paint my nails every single week. I shower (and wash my hair) every single morning. I lay out my clothes for work the evening before. I style my hair everyday. I only purchase clothes that are in alignment with my personal style. (Post on this coming soon). The most important one: I THREW OUT / DONATED ANY AND ALL FRUMPY CLOTHES. Big, baggy hoodies from college, sweatpants that are two sizes too big (but man, were those comfy! ), freebie tees with company logos on them, etc. Since I no longer have these comfortable but worn-out clothes to wear, I'm forced to be more intentional about what I choose for outfits. Dressing for your day is such a simple concept, but often overlooked! I encourage you to give it a try for a week straight to see if you notice a difference! You've got this! P.S. 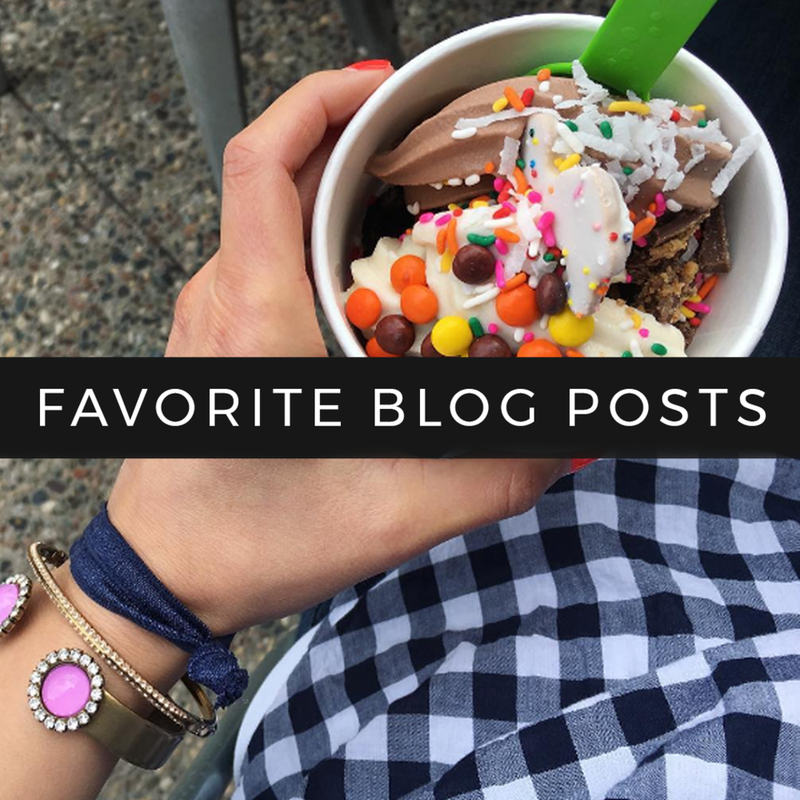 I'm linking up with some other bloggers for Tuesday Talk today! Click here to check it out! What are some of your favorite stores to shop?